The president of South Africa, Jacob Zuma, Saturday said that his party, African National Congress (ANC) lost the Western Cape polls because of witches and wizard in union with ghost who took part during the voting process. According to Huffington Post, Zuma was quoted to have said that ghosts voted to keep the Democratic Alliance (DA) in power. In his word, “I don’t know where they get the luck to win here because people in the majority are not living comfortable. I don’t know‚ [maybe] it’s because of witchcraft‚ witches practice their craft in different ways. “In the last elections I was satisfied that we are taking the Western Cape‚ I even said so. What went wrong? I too can’t tell you. It’s witchcraft‚ you never know. Maybe even ghosts are voting. “ANC is a party backed by both the ancestors and God. “Ancestors would abandon me if I would leave because of people who talk a lot. I will be with you‚ even when my term has ended. I will be in branches”‚ speaking, he said. 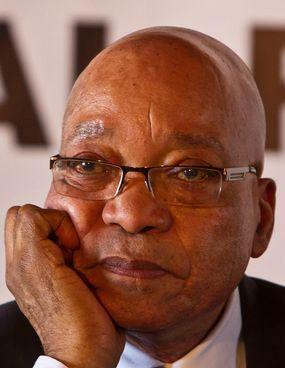 The post We lost because ghost, witches, wizard, human beings voted during the election – Zuma appeared first on Vanguard News.